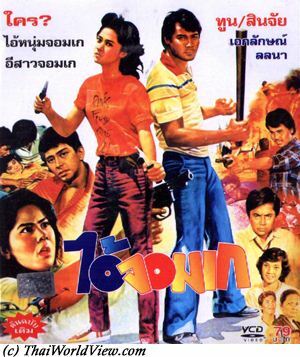 This Sinjai Hongthai movie page contains 24 records. A young postman dreams he will become famous. His dreams become true but not the way his policeman father was expecting as he gets twisted in mafia rivalries with a gunman causing his life and his family to be destroyed. 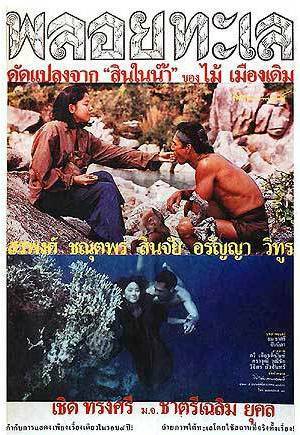 Thai HK movie ปีศาจมันสมอง / 腦魔 / The Black Magic with Buddha was released in year 1983. It lasts 1h32mn. 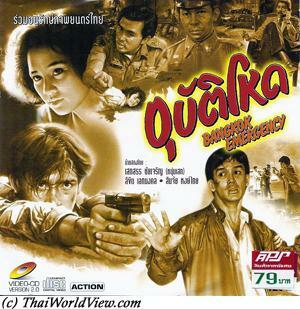 The movie is lost in Thailand but was recovered from HK. 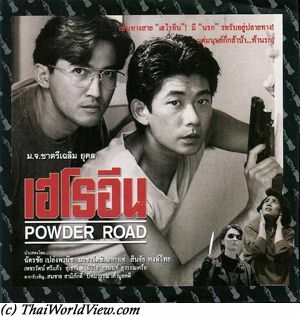 The remaining version has Chinese and English subtitles but has been dubbed also in Thai. Ben went to Indonesia to recover some sacred item. It is a mummy brain. He shall worship it, asks for a single wish and then destroys it thanks to holy water. If he is greedy, it will backfire on him. He is now back to Bangkok. 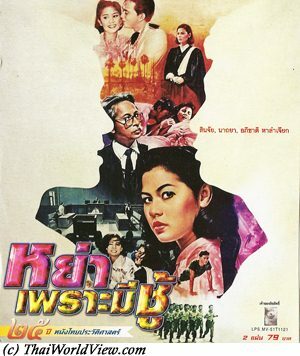 He wishes to marry Annie (Candice Yu) but Annie's brother Kit (ภูมิ พัฒนายุทธ) refuses until Ben has 1M USD in bank. Boo Wibunnan is Annie’s father. Ben asks a wish to the sacred brain. He asks money to his sister. As she refuses, he curses her. Later on, the evil spirit kills her. He then inherits 1M USD and can marry Annie. He worships again the brain to have a happy wedding. Strange accidents happen around his home, animals without brain are found dead. Ben asks for 2M USD from his father-in-law for a risky gold investment but Kit refuses. Kit finally dies as Ben asks the spirit to help him. Annie breaks accidentally the holy water bottle while cleaning Ben's room. Mary, Kit's wife (Sinjai Hongthai), and the father come to stay with Ben and Annie. The spirit starts to be more menacing. Ben buries the brain and puts a big stone on it to avoid it can escape. Annie and Mary decide to put a Brahma shrine in their house to stop the bad luck happening to the family. Annie changes a lot. She becomes vegetarian and refuses contacts with Ben. The spirit also attacks Ben. Ben decides to consult a famous master (อาจารย์) (Lo Lieh) who exorcises him but he cannot remove completely the evil spirit. Ben finally becomes a living evil spirit with his face becoming a brain. The master and Brahma god join their effort to fight and destroy the evil spirit. A father has got two children, i.e. a son spending his youth in bar and a daughter, and has also adopted a boy. This latter, after doing successful studies, is promoted general director of the father's company. The first son is very jealous and promises to get a revenge. Once the father is dead, he starts to destabilize the couple.